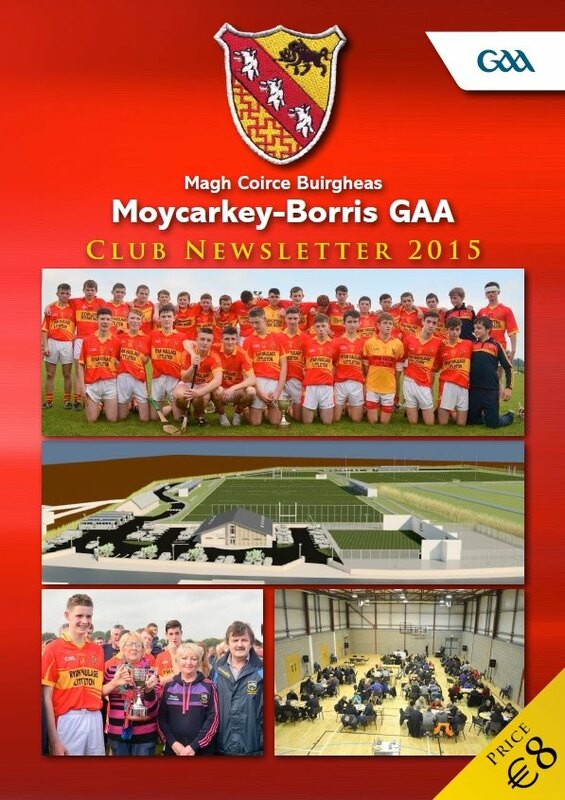 The 2015 Moycarkey-Borris GAA Club Newsletter is now on sale in the local shops in the parish. The 72 page production is full of detailed accounts of the clubs activities during the past year with many colourful photographs capturing the events of 2015. Thanks to everyone who has helped in collating the material to make such a Newsletter possible.